Both males and females are 4-4.5 feet in length excluding the tail, up to 34 inches tall at the shoulder and weigh between 44 and 50 pounds. Grassland, savannas and swampy areas. Central and eastern Brazil, eastern Bolivia, Paraguay, northern Argentina and Uruguay. Rodents such as mice and other small mammals, birds, reptiles, insects, fruit and vegetables. Up to 13 years in captivity, not known in the wild. Males and females live solitary lives except during breeding season and in captivity. Endangered due to habitat destruction by farmers. 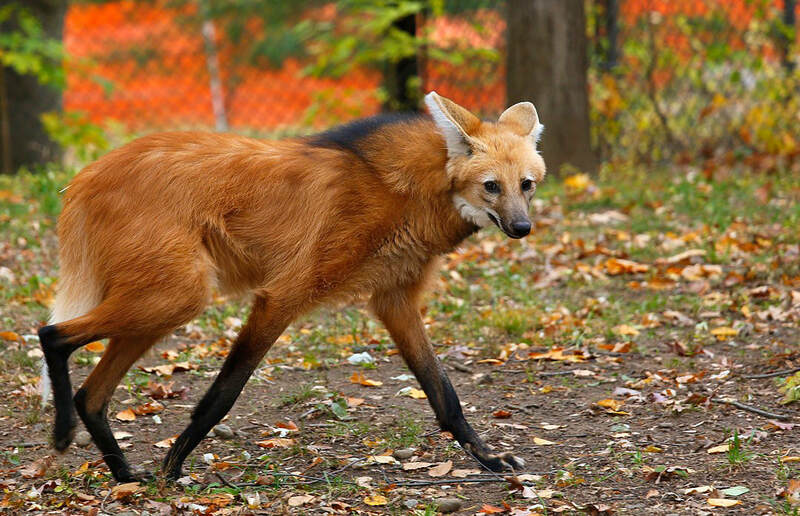 The animal that is commonly described as looking like a fox, but on stilts, is the maned wolf. Connecticut’s Beardsley Zoo is home to two of these vanishing creatures, a male and a female. 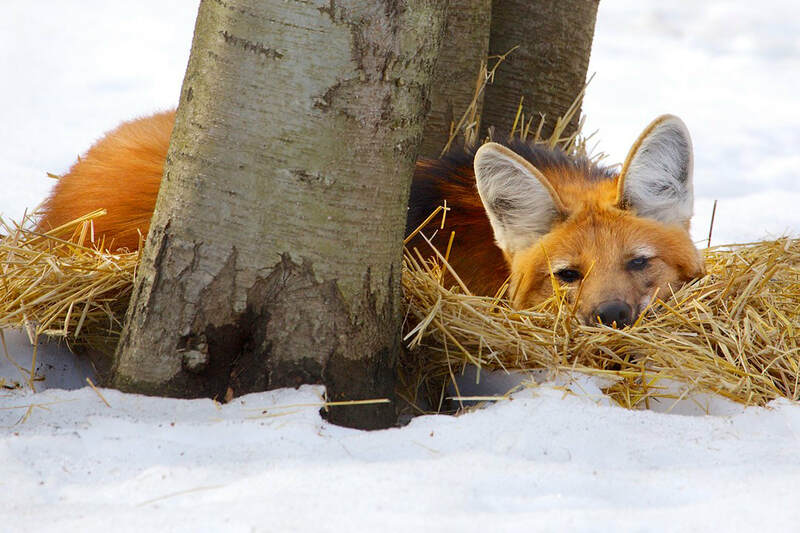 The maned wolf is unique from other wolves because it does not like the cold. Therefore, our pair has access to a heated enclosure during the winter months, though they venture into their outdoor exhibit on warmer days. They are also very shy mammals that keep to themselves in captivity and in the wild. In fact, they live their lives alone, except during the breeding season when they seek out a mate. 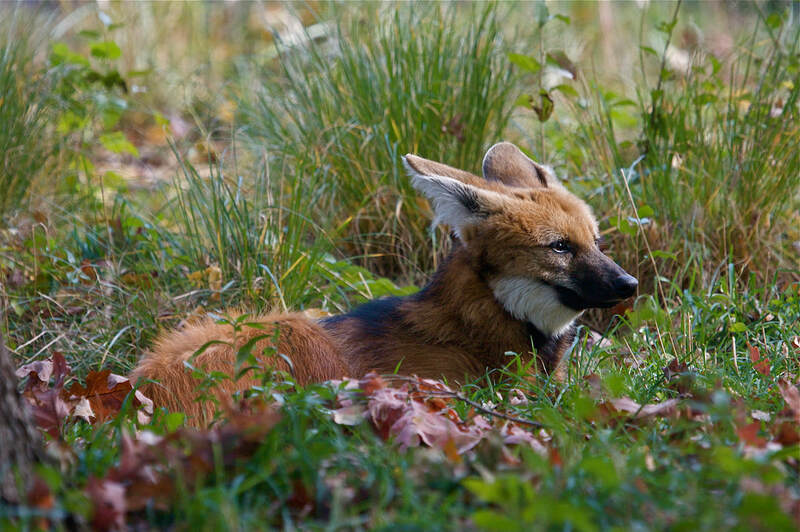 A female maned wolf will usually give birth to 2-5 cubs after a gestation period of 9 weeks. There are about 4000 maned wolves left in the wild, and this number is dwindling due to their habitat being destroyed by farmers.